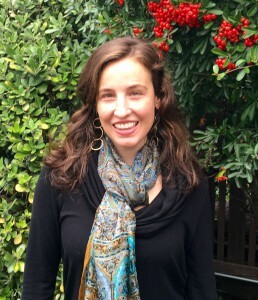 Introducing Brooke Griffin, the New San Francisco Shambhala Center Deputy Director! We are very excited to announce the hiring of Brooke Griffin for the new position of Deputy Director at the San Francisco Shambhala Center. This new job title replaces the former positions of Center Manager and Programs Director, to better communicate the leadership role that Ms. Griffin will be holding at our Center. The Deputy Director position is designed to work closely with the Center Director to ensure the ongoing operations of weekly and special events at our Center, and specifically to help the Center Director to create sustainable, replicable systems for the most efficient and supportive use of our member and volunteer base. Our new Deputy Director will be a resource for members and volunteers at our Center, and will help us to create and support teams of members that focus on important operational areas such as communications and outreach. Brooke’s role at our Center will undoubtedly grow and evolve, as she works with the Center Director to assess the needs and challenges of the Center and identify potential strategies to address them. Brooke has worked in various capacities of the Holistic Health field for over 20 years, as an herbalist, facilitator of guided plant walks, energy healer, coordinator of events and classes at a wellness center, a lead manager in an integrative sports clinic, and as a yoga therapist and wellness coach in private practice. Informed by her deep connection with the natural world, Brooke has a keen sense for viewing systems as a dynamic living whole. Brooke is currently enrolled at California Institute of Integral Studies, completing graduate work in Integrative Health with a focus on mindfulness practices and their transformational impact. Brooke was introduced to the Shambhala path in 2008 while pursuing a degree in Traditional Eastern Arts, Sacred Ecology, and Religious Studies at Naropa University. She attended a Level 1 training in the main shrine room in Boulder, and was surprised and delighted by the internal awareness and resourcing this path provided. This past summer Brooke attended Enlightened Society Assembly at the Shambhala Mountain Center, and comes to our Center now with a dedication to the vision of creating Enlightened Society. She looks forward to attending Warrior Assembly in 2016. Please join us in welcoming Brooke to her path of leadership at our Shambhala Center! We welcome your input and feedback as we re-organize and strengthen our local operational structure with this new hire.